On June 6, 2006, rodeo rider, judge and producer Corey Costa turned his love for animals into a profession when he opened Remington Feed and Pet in Riverview. The store’s original location was a rented strip mall unit at 9419 Hwy. 301. In September of 2012, Costa purchased approximately two acres across the street at 8808 Hwy.301 S. in Riverview, and now owns the 1,600 sq. ft. store and property. Remington Feed and Pet not only sells feed and supplies for horses, cattle, goats, sheep, pigs, and poultry, but it also caters to dogs, cats, rabbits, guinea pigs and hamsters. 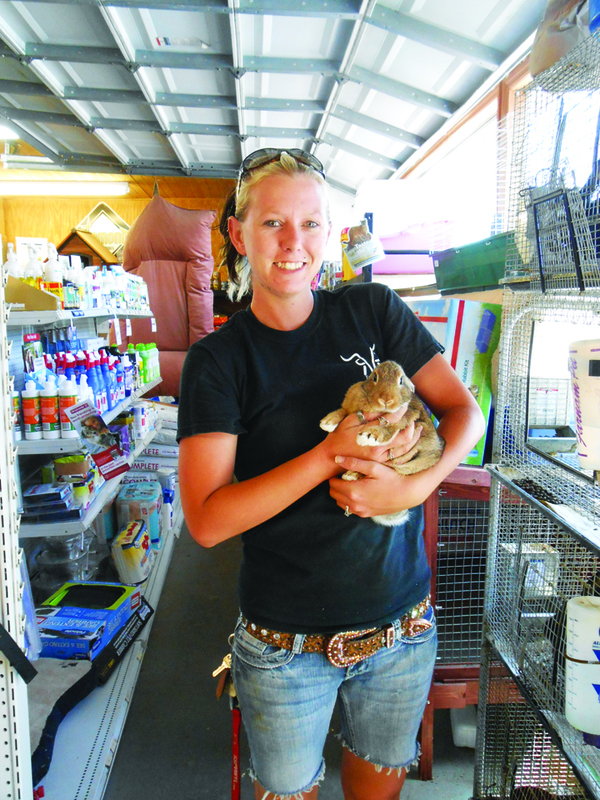 In addition, the store sells live animals, such as rabbits, hamsters, guinea pigs and baby chicks. “We wanted to stay in the area when we purchased the land, so we could keep serving our clientele. With extra space, we were able to focus more on small animal needs, and we have more room to store hay and feed. There’s also no more fighting over parking,” Costa said. The store’s three employees share Costa’s interest in animals, each with their own area of expertise. Morgan Trout raises her own chickens, pigs, dogs and cattle and uses her personal experiences to assist customers in their animal feed and care selections. “We are a small mom and pop operation and like to take the time to give that one-on-one care to every customer,” Trout said. To Costa, Remington Specialty Feed is more than a business. It’s “a lifestyle for your animals.” In keeping with Costa’s desire to serve his customers and their furry companions, the store has been hosting low-cost vet clinics for eight years. The clinic serves dogs, cats and ferrets and is offered every two weeks on a first come-first serve basis from 3-4:30 p.m. on Saturdays. The 2014 schedule is available online at www.remington feed.com. The store is open Monday – Saturday, 8:30 a.m.-5:30 p.m. For more information, call 672-1244 or e-mail Remington.feed@yahoo.com.